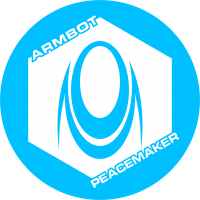 Armbot is the designation for attack Remotes used by the PanOceanian Military Complex. They are designed to be faster than Heavy Infantry troopers but lighter, easier to manufacture and cheaper than a T.A.G., while carrying support weaponry. PanOceania used this design methodology during the hectic arms race of the NeoColonial Wars to get highly mobile fire platforms at a low cost. Nevertheless, the light armour of the Armbots doesn’t allow them to take continual punishment, so they have to rely on their speed and ease of deployment to contact the enemy in the first stages of combat. With that in mind they are usually assigned to fast and aggressive actions, seeking and destroying hostile units. Their primary goal is striking enemy units before they can establish an adequate combat formation. When working with armoured units, be it vehicles or T.A.G.s, Armbots are often used to conduct advanced reconnaissance tasks, distract opposing forces or provide immediate support. When they handle defensive tasks, they are usually kept as a mobile reserve, in the rearguard, launched at the frontline to blunt enemy offensives. Basically, the main function of Armbots is to get close and destroy an enemy. Their ability to move, strike, establish an operative net for tactical Hackers and then provide armed response, is a decisive factor on the modern battlefield. Armbots are perfectly capable of undertaking sustained operations against any threat, no matter how tenacious or sophisticated it may be. 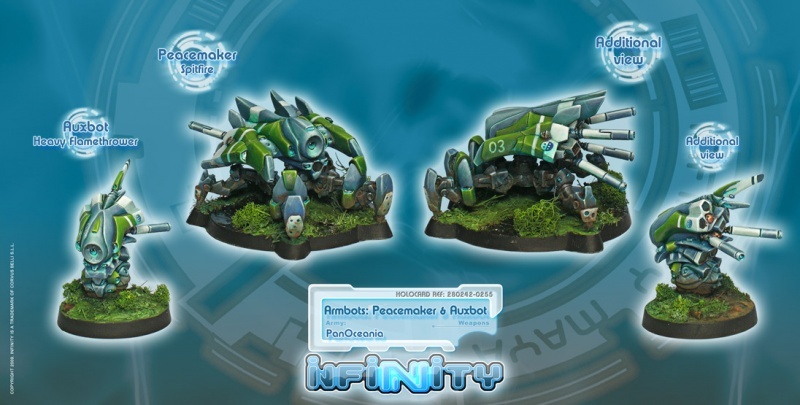 The Peacemaker, often based in an outpost, will coordinate attacks with its Auxbot to lay down an unceasing barrage. In any case, the result will always be the same, the complete destruction of all targets.